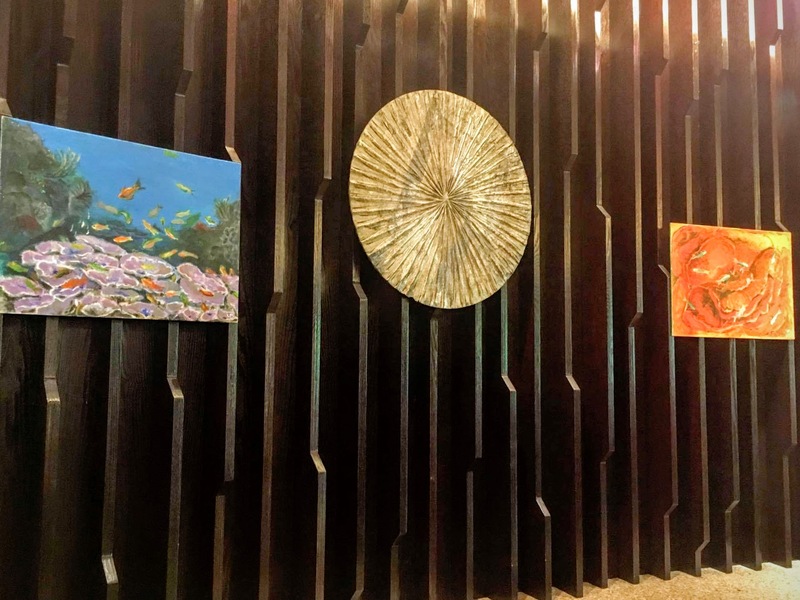 Hotel Jen Malé Maldives in conjunction with World Earth Day 2016 hosted an Art Exhibition in keeping with its history of endorsement and engagement with issues of the environment, support for the arts and community involvement where community outreach and participation is a key part of our practice. 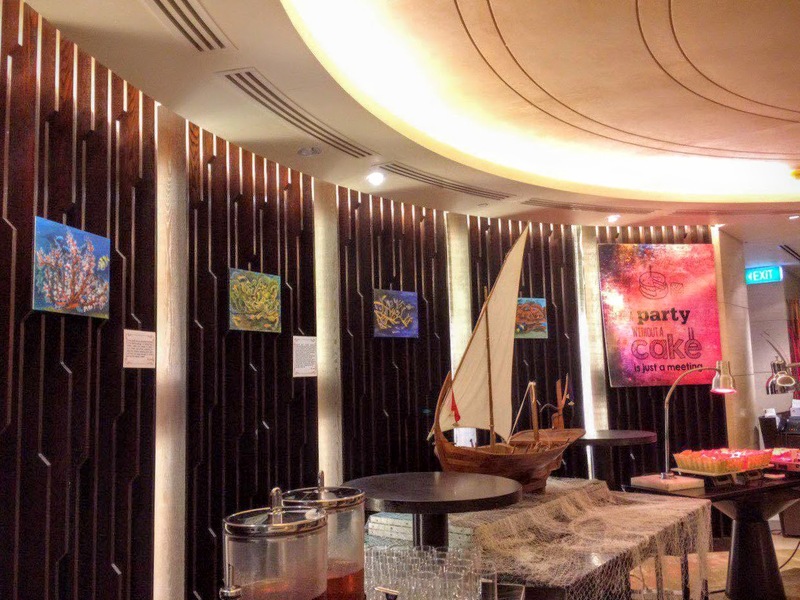 The exhibition was guest curated by Ms. M.Uma, who is an aspiring and emerging marine coral painter from India. 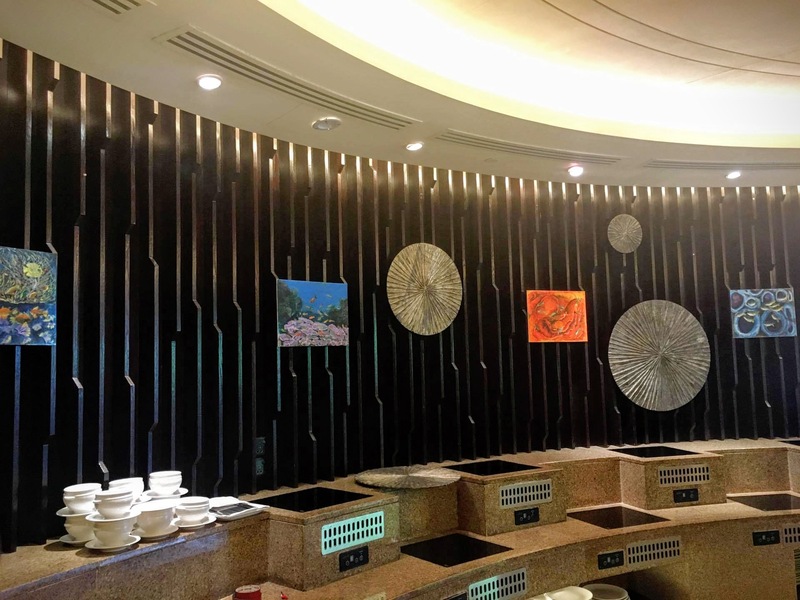 The exhibition took place in Lime Restaurant of Hotel Jen on 22nd April 2016 from 8.00am till 11.00pm. Hotel Jen Malé Maldives has been always supportive and encourages its associates to participate in corporate social responsibility (CSR) activities with the broad goal, simply, of contributing to the well-being of the local communities and society besides maximizing our positive impact on the social and environmental systems in which we operate. And to raise awareness on the environmental problems we are facing today. Ms. M.Uma’s is also a PADI certified open water Scuba Diver with a great passion for Marine life, Her canvas paintings are inspired by her observation of these spectacular and intricate life forms during her dive and is a culmination of her creative output over the past years that has cemented her reputation as a well-known leading artist of underwater life forms in the Maldives. She has conducted several Art Exhibitions in the Maldives over the past years in Shangri-la, Maldives in 2012 in conjunction with World Earth day and 2013 in Jumeirah Maldives also in 2013 and 2014 an Art Exhibition in conjunction with Environment day was held at Taj Vivanta, Maldives which depicted her passion for Marine coral and underwater life. 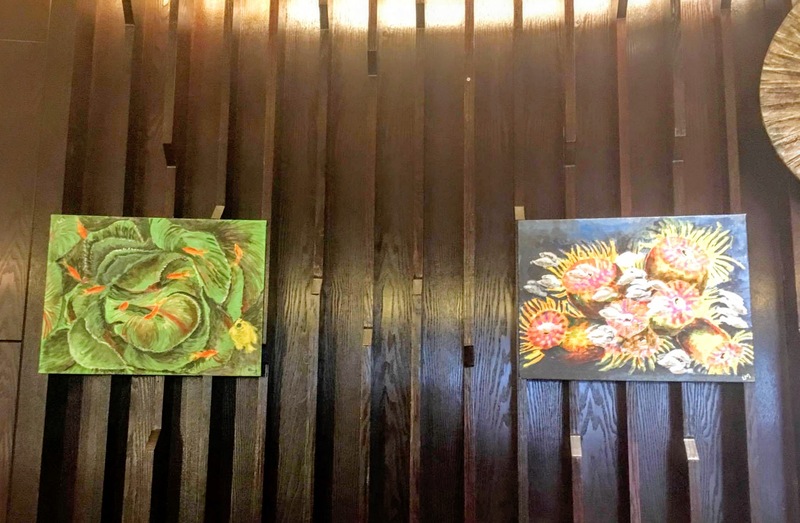 The Art was playfully arranged throughout the Lime Restaurant at Hotel Jen Malé Maldives, as a fully integrated part of the Lime restaurant buffet area, where these works can be discovered by the guests through a series of chance encounters. Hotel Jen Malé Maldives also had a special Earth day buffet at a special price for locals, expatriates and Hotel in house guests starting from morning breakfast with a spread of the widest selections of local delights such as Mas huni and Roti, to breadbasket with pastries and a cheese platter to cuisines such as Asian, Western and a salad bar and live stations. A Special Set Lunch which consisted of the semi buffet salad bar paired with the all-time favorite Thali meal that offered a choice of either Indian or Maldivian flavors were featured for Lunch and as for dinner it was an International buffet in which live action stations were prominently featured in the buffet with an incredible spread that definitely has something for everyone. The exhibition on Marine corals was presented to educate people and actively engage the audience on local environmental issues as well as create awareness and ignite conversation on marine environment fragility. The very first Earth Day was celebrated on April 22, 1970. This day was created by American Senator, Gaylord Nelson, to make people aware of the importance of keeping our planet healthy and clean. On that day, people made promises to help the environment and make positive changes in their community. 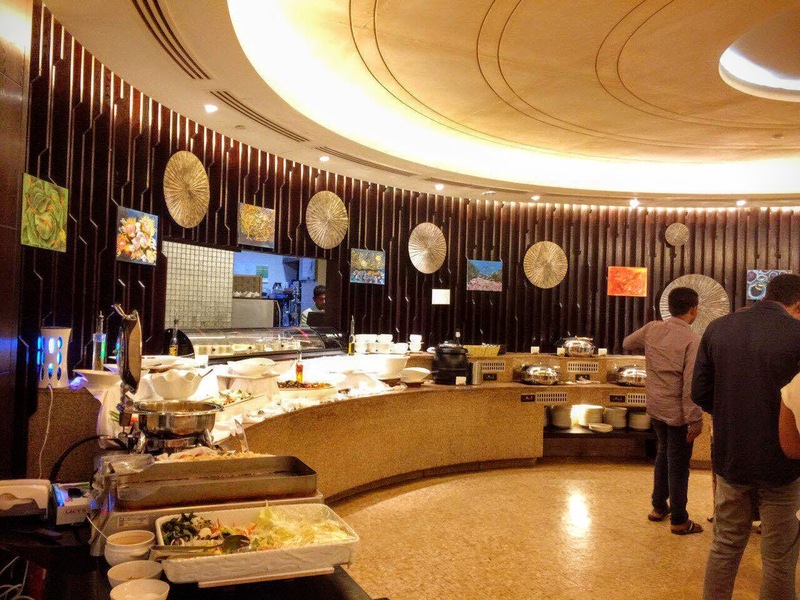 Since then many countries, inspired by the collective effort, have since started marking the World Earth day and Shangri-La and its properties are one of them who raise awareness and contribute in conducting initiative awareness program every year with interesting happenings & activities for their guests and staffs.